VRC’s cardiology service provides diagnostic, therapeutic, and pre-anesthetic consultations for pets with suspected or documented congenital or acquired heart disease. These heart problems may be primary (stand alone) or secondary (occur from other systemic, internal medical problems). Primary heart disease may also contribute to the signs and symptoms of other internal medical problems. 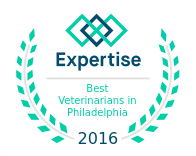 We provide diagnosis and confirmation of your referring veterinarian’s diagnosis of congestive heart failure, arrhythmias, pulmonary hypertension, systemic hypertension, cardiopulmonary disease, and cardiac disease due to other systemic disease. Diagnoses are made using a combination of physical examination, echocardiography and Doppler ultrasound, thoracic radiography, electrocardiography, and blood pressure evaluation. As needed, we will provide medications, radiology, abdominal or thoracic ultrasound, and internal referrals to other services within VRC including internal medicine, emergency, oncology, and surgery. To view a list of Frequently Asked Questions regarding Cardiology at VRC, click here.